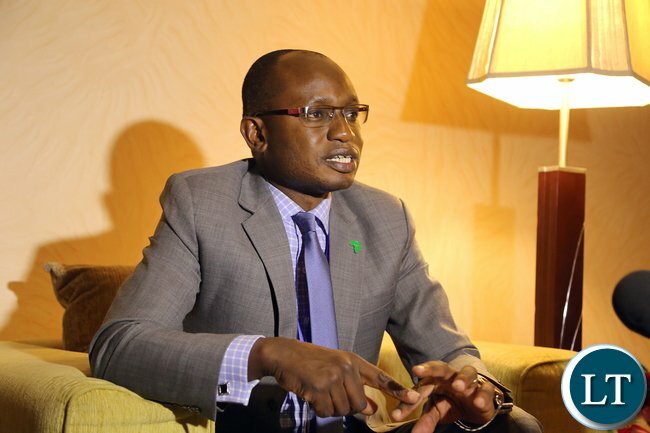 State House Spokesperson Amos Chanda has said that it was shocking that the same mining companies which comply with sales tax laws in other countries are crying foul and do not want to pay the same tax in Zambia . Mr Chanda said that the tax policy is a sovereign matter of the government and a tax payer does not determine what type of tax they should pay. He said this in an interview with journalists in Lusaka. Mr Chanda however said Government is Open to dialogue and submissions on the matter. Mr Chanda further said that said President Lungu has asked Ministries of Labour, Mines and Finance to ensure that there are no unjustified layoff of workers by the mining companies . The Chamber of Mines said that more than half of the copper mines in Zambia will probably be unprofitable next year with thousands of jobs on the line, as the nation raises taxes for operators. The Chamber said in a statement that the effective tax rate will range from 86 percent to 105 percent, with about 27,900 jobs at risk. The Lobby Group said that if the Government’s tax proposals go ahead, more than half of Zambia’s copper miners will become loss making, at current copper prices. The warning was made by Goodwell Mateyo, the new President of the Chamber of Mines, at a press conference held in Lusaka to announce the release of a new report entitled ‘Taxing the mining industry’. Mr Mateyo also said that the position would be even worse for gemstone producers, who have an additional export duty to contend with. “Zambia has become a recognised emerald producer in recent years. But the combination of royalty increases, and the new export duty, will kill off the legal gemstone industry within the next two years. The only people who will benefit will be illegal miners, who do not pay taxes, and whose costs will thus be radically cheaper than their legitimate competitors,” Mr Mateyo said. The report released also included research which compares Zambia’s present and proposed mining taxation regime with other copper mining countries around the world. The research showed that if the 2019 Budget proposals are enacted, Zambia will have by far the highest tax burden of the 12 mining countries sampled. The countries include copper giants like Chile and Australia, and Zambia’s own peer group in Africa – DRC, Botswana, South Africa, Angola and Tanzania. “The effective tax rate – the average rate at which pre-tax profits will be taxed – will vary between 86.3 and 105%, depending on the copper price. This could result in the extraordinary situation where a profitable mine would be obliged to pay more in tax than the profit it had made. No business can, or will, continue to operate under those circumstances,” said Mr Mateyo. “The unwanted effect of these survival measures will be lost production, lost investment, lost employment, and less supplies and goods procured from other parts of the economy. When one factors this in, we estimate that the net gains the government will make next year from these changes will be a mere $28 million. This could be achieved far less destructively from a small increase in production,” it said. Zambia plans to introduce new mining duties, replace value-added tax (VAT) with a sales tax and increase royalties, from January, to help bring down mounting public debt. Let’s just repossess our mines. Tax ’em investors. There should not be backing out. What can you immediately take over …simply typing nonsense from the comfort of your lounge. These investors are having a ‘field day’ in Zambia. It’s clear no one knows anything about what goes on in their own mineral sector AFTER 50 YEARS of independence? Government is just guessing. Where are our experts to advise government about the inside story of how mines operate so that they can make informed decisions or negotiate? I am appalled and sickened by all this! Even a small businessman with a taxi business will know what goes on in the taxi business to set targets for the daily takings for the driver(s). Where is the data and the experts to analyse this data? African countries are being taken advantage of. Ridiculous! Just, how are these deals negotiated? I mean about selling these mines and other companies. The companies and mineral wealth in the long-term belong to the Zambians. our children. Are we not supposed to have our very own Zambians at the corporate level to ‘learn and know what goes on inside’ or potentially to snoop and eventually tell us ‘the wrongs that the scumbags do while they mine our minerals, after 54 years? Do we really care about our country? I am appalled. We are not patriotic enough. Well, that’s why I left! As Americans put it, “There’s No Such Thing as a Free Lunch on Wall Street”, Zambia does not need freeloaders for investors. We have given away too much for crumbs. Minerals are depletable resources whose extraction should bring equitable benefit to the national economy. Multinationals in the mining sector need our resources to sustain developments in their home markets. Time for effective and respected tax system that never curves in twisting tactics of unemployment risks. Its unforgivable to bear the shame of poverty in our resource rich country. The liberalism has failed to dent positively on our poverty levels. Resource rich but lagging behind countries without wealth on the ground. Tax them now or they can shove-off. Govt hs done well & for the first time almost all patriotic people support ths; so the investors must seat down wth govt& present their issues so that we have a win win..otherwise it makes no sense to be so poor in midst of so much riches around us.God wil not forgive us if we do nothing: (James 4:17). Nope they cheat Zambia just like they did to Tanzania where they got a tax bill of billions of US dollars. Chanda issues a statement and it is the headline of this article but provides not evidence for his claim? The article then goes on to negate his statement. It seems chanda’s claims are unsubstantiated. Chanda – can you back up your statement regarding GST in other countries? Why can the govt spokeswoman or the lazy bum issue a statement via a press conference? Yes, in the ideal world taxes are non-negotiable. This matter ought to be a take it or leave it situation. But now that there is this standoff, I for one am interested in knowing government’s plan B, if ever there is one. In the absence of such a bold measure, the government will keep falling victim to arm twisting tactics. Besides, government is creating a situation of unhealthy anxiety among its citizen who depend on the mines for survival, especially the mine workers and local suppliers. I also believe substantial damage is also being done to the economy through negative speculation….oh excuse my contribution….. let me end here because Dr Habazoka will cite me. I’m not an economist. mineral resources belong to Zambian people and they(Mine owners) have been given exploitation/mining licences which must be adhered to or revoked.By being given a licence by Govt,it means the govt is the ultimate owner of mines.What the mines are doing is tantamount to a tenant armstwistng the Landlord.Scandalous to say the least! That’s what happens if you literally beg for investors, you end up with infestors. Arm twisting merciless selfish parasites conspiracists in corruption. How could the entire country be suffering at the hands of a few business crooks. How could leadership then succumb to selling the country’s assets just like that without limits. Now the finger pointing has just began. We want ZRA to use the same kinder aggressiveness they use on their citizens without curving. Posterity will judge them you say, behold, posterity is nigh. Block ’em corruptionists from leading us. Amos has for the first time spoken as a Zambian on behalf of his boss. We need action, should any of our people lose a job or should the infestors fail to pay tax accordingly as they do in other countries, do not hesitate to show them EXIT door. Our minerals will forever be our minerals whether extracted or not. Thank you . We are a one product country and ought to tread carefully. Except for copper and a few of these cheap shopping malls we got nothing my brother. Lets not over excite ourselves. The kwacha will crash and we will soon know how poor we are. Why can’t some of these very important pronouncements be made by the president himself? Danielle, the president cannot make any pronouncement he is mouthless and besides he eats with them. A statement from him won’t make any sense and might just worsen the already negative market sentiment. Our leadership have failed to diversify the economy which is what they should be focused on. We need a new mindset not this tinkering on the copper industry which will die off anyway at some point. We are the most vulnerable of all the economies in the region. They failing to revamp agriculture and in tourism, Zimbabwe that was dead for over 10 years are back scoring high tourist volumes and claiming back their place in the tourist market. We just have hopeless, lazy leaders who run around wasting money officially opening toll gates and malls we do not need. But behold, said MCS to KCM, if you dare fire one miner, you also have to go. Whence was MCS drawing courage to dare KCM. From there lay the answers. The deepest core of patriotism and true leadership. Zambians first. But the true enemy of Zambians is a Zambian himself. Preaching to investors that if you give Zambians huge salaries, they will stop coming for work and that I will help you buy these companies cheaply if you also help me with kickbacks in terms of shares so I keep growing rich. How unpatriotic. Chanda can you name the countries. The problem lies with govt and not the investors who are lured with cheap taxes that the country offers and within a short period the govt announces obnoxious tax regimes. When courting companies to invest in the country, they are invited to State House to wine and dine with ECL, once the coffers dwindle, they don’t want to talk to investors eye to eye but through their henchmen! An investor can only go up to a certain length and thereafter start making a loss! Like I stated PF empty tins are too broke and savvy enough to deal with the mines and the mines know it. A professor at one scandinavian university I won’t mentioned said ” African are foolish” because every one tells them what to do even though they have very educated ones among them. They have gold, diamonds, oil , copper, rivers, lakes ect. yet foreigners go and get the wealthy to Service other Continents , what a shame. Why can’t Africa sit down and address each others needs to cut off being exploited. Why allow your minerals to be sold at London Metal Exchange? Which mineral is mined in great britain? Let the mines pay or leave. IDC should have plan be in case the government takes over. The electric cars industry will need lots of copper therefore reposses if they can not pay the sales tax. They are used to free from tax. We received these investors with four hands instead of two. Foreign contractors slso bring in unnecessary labour like welders, operators. electricians, fitters and the like. Well done GRZ. Enough is surely enough.